The application is complex due to the historic nature of the building and its close proximity to a Grade II* Listed Building. The application has therefore been submitted with a great deal of information relating to the proposed detailing of the conversion and a heritage statement and framing plan which have been produced with assistance from AWA Structural Engineers and Forum Heritage. Studio Four Specialist Projects were appointed to redesign elements of the approved planning drawings and to develop the proposals for working drawings and run this project on site. 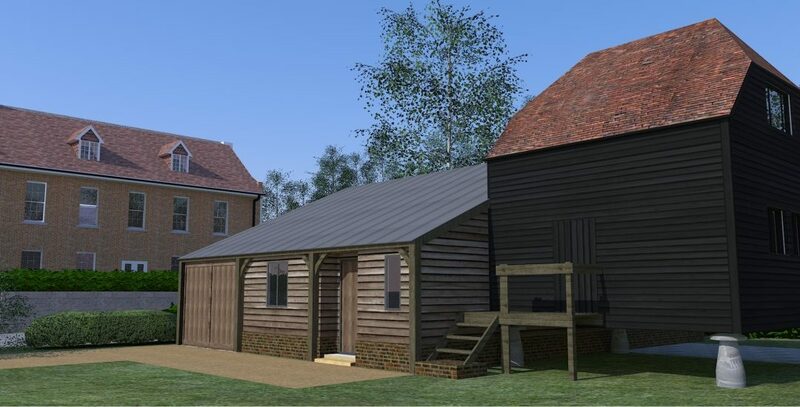 We are currently working with a client to convert an existing modern farm structure into a private dwelling for agricultural use in the South Downs National Park.